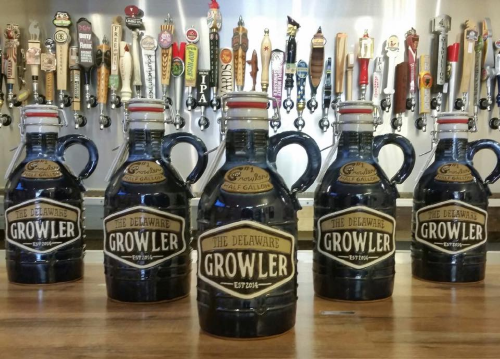 Delaware law allows liquor stores and taverns (with off-premise licenses) to fill growlers. The ability to sell growlers requires that an establishment apply for and receive a permit, so not every liquor store sells growlers. Bars (except for those with off premise licenses) do NOT fill growlers. Below is a list of establishments that currently sell growlers. I receive periodic updates from the Alcoholic Beverage Control Commissioner so I’ll try and keep this list as current as possible, but it still may take some time for new places to get on the list. Fordham and Dominion : Currently do not sell growlers, but this might change after their tasting room is finished going through on going renovations. Argilla Brewing : Due to its small size, Argilla would prefer to only fill 32oz growlers. 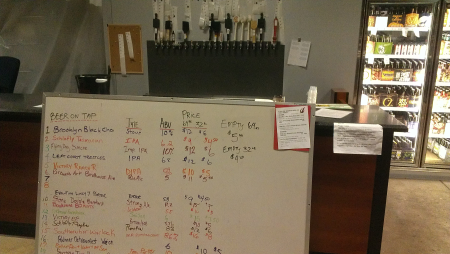 In the list below, I’ve included the location and brief comment about their growler station. If a place has a hyperlinked (BOARD) after it, that link will take you to where you can see what is currently on draft (I am not responsible for out of date boards, please call head to verify they are up to date). If not, click on the establishment’s name. That will take you to their Facebook page/website where you may be able to find out what’s on draft (keep in mind some pages may require you to log into Facebook for viewing). I’ve also include a few notable out-of-state places at the bottom. Stanley’s Tavern, off-premise. Able to sell from all bar taps. Premier Wine & Spirits, 4 taps (BOARD) : NOTE: The growler station has been removed due to recent renovation and may not come back. Call ahead to check on its status. 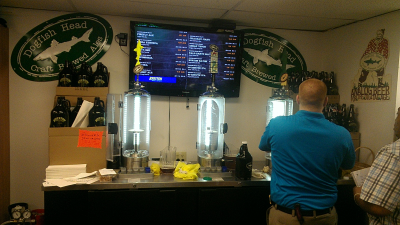 That’s no moon….Kreston Liquor’s three tier PEGAS growler filling station. State Line Liquors, 20taps, (BOARD) including regular tap takeovers and Tap Socials. Just ed wanted to help out a local buisness and beer lovers. Thanks Amanda. I’m aware of DG, I just haven’t updated the page yet. I’m hoping to get out there soon myself!